An investigation for BBC One's Countryfile has uncovered a 'hidden mountain of drugs' after finding hundreds of tonnes of antibiotics are still being used in UK chicken production. The British Poultry Council claimed farmers had reduced their total use of antibiotics over the past six years by 82 percent - dropping from 81 tonnes a year to just over 14 tonnes - in a bid to tackle antimicrobial resistance (AMR). BBC One's Countryfile has, however, discovered the use of 281 tonnes of antibiotics called ionophores, which potentially pose a risk to human health and the environment. 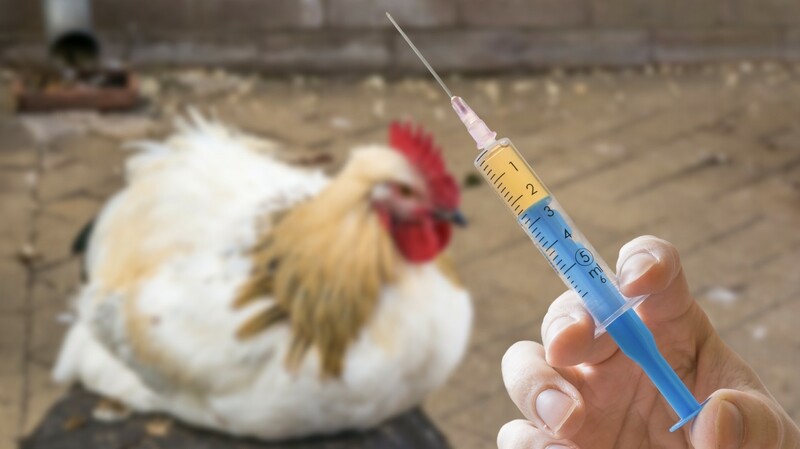 John Reed, Chairman of Antibiotic Stewardship with the British Poultry Council, argues ionophores 'are classed as feed additives' and not antibiotics, but campaigners fear the drugs could cause resistance to antibiotics that are medically important for humans. Cóilín Nunan, from the organization Alliance to Save our Antibiotics, said: "We are calling for ionophores to be made prescription-only but, really more fundamentally, we are calling for chickens to be kept in better conditions so that they don’t develop this terrible disease coccidiosis in the first place." While Herefordshire farmer Richard Williams, who states in the program he no longer uses antibiotics to prevent illness, said: "Things have changed in the last five years – we've used antibiotics twice and that equates to about one-and-a-half percent of the birds we produce here. "From a farmer, a businessman, point of view, antibiotics cost money so if we can do without them it's better for the birds, it's better for me." Presenting the investigation, Tom Heap describes the risk of ionophores as 'clearly debatable', adding: "But the industry admits they are antibiotics and campaigners have told us that we can't expect cheap chicken without them. So, consumers' shopping decisions are down to your priorities." The investigation airs on BBC One at 6pm on Sunday 31 March.